Natural born Psychic/Empath and Spiritualist. 30 years professional experience! Offering sound advice and guidance in Love/Relationship issues and any other concerns one may have in life. she is always amazing and picks up on the energy so clearly. After she connects she just digs right in. A lot of information. Absolutely a lovely kind soul! Such insight and honesty. I read for others seeking answers, advice and/or guidance pertaining to relationship issues, and/or other such matters in life. I do not offer predictions, but what I share with you can come to pass based on your willingness to see things through - of your beliefs. Very Important to Note: As a Natural born Psychic, Spiritualist, Empath, with other inherent abilities, I assure you that you will not be disappointed in seeking me out...but know that I do not portend to see everything and all, frankly, no one can, for not everything in life is to be revealed. As I strive to make your reading experience as accurate as possible, "You" must participate, in that "You" must be "open to receive" so that I may make a proper connection. Please do not hesitate to share with me what it is that you are seeking so that I may assist you! Please understand that certain questions asked are not always answered and/or shared in the fashion one may expect, reason(s) being is that other matters may take precedence. Do not be discouraged though for one is always given a message, even though some messages may not be clear and/or revealed until a certain point in time - yet ALL KNOWLEDGE IS TO BE GAINED. Should you decide to select me as your Reader, please know that I speak from the heart and the truth of my being, always in Love and Light! My low rate for services offered you is based on my love and desire to help others in time of need. Decide for yourself. You will find that I am professional and experienced in which to assist you. Certainly, we all need someone to talk to, share things with when confronting hurtful, confusing situations in life - therefore, advice and/or guidance in our time of great need should not be priced at a rate to create any financial hardship for another - for don't we have enough to concern ourselves about in this life? You will always receive quality/accurate readings from me at very fair and reasonable prices. Please review my Homepage for additional information, as well as for Ratings and Feedback. My experience with love and relationships (reading for others) is based on my psychic abilities, sensitivity, spirituality, other natural gifts, as well as my own personal relationships - finding my late husband, David. We had been together for many lifetimes. After he passed, I sensed that he was watching over me. He didn't want me to be alone in this lifetime, and so he sent a gentleman to me 5 years after his passing (5 was his favorite number). It turns out that this gentleman is, in fact, my twinflame. His name is Ghani, and from the moment he found me, he has known all about me. He even told me that he felt a man's presence (in spirit) around him before he found me - knowing that it was David. It turns out that David, Ghani and I have always found a way to be together, our lives / souls will forever be entwined. Ghani and I have always had the strongest connection and great love, and we remember our lives together, especially, in Ancient Egypt. Relationships of any kind, whether good or bad, do teach us many things about our own "true self". Some can bring out the very best in us, while others, unfortunately, can appear to destroy our very own heart and soul - yet, all in all, it is for our very own human and spiritual growth. I will never dictate to you what you must do in a relationship, as that is between you and your mate - for, if so, that may hinder your spiritual growth - know that I'm here to offer advice/guidance based on your needs and wants. As many relationships can be very complicated, know that the power of love is truly the strongest force in the Universe, and I can help in your relationship. As I'm gifted in seeing and have great knowledge concerning relationship issues, I am able to tell you where your relationship stands, even to help bring your loved one back to you, if meant to be, but not with any Black Magic spell - only naturally, which has far greater power - just ask, I will gladly tell you how! ~Further Experience: I have been reading and studying Tarot and Dream Interpretation for more than 30 years. My other readings include Flowers, Animal/Nature Symbology, Gemstones/Crystals, Trees, Herbs, Tea Leaf and Cloud Readings, Runes and Spiritual Journey. I also practice Color Therapy, Chakra Balancing, Candle Magic & Wicca. I have a true gift of healing the soul, and I possess great insight, wisdom and compassion. Allow me to assist you with any concerns you may have. The Mystic Wave has been a user of Keen since 2001. 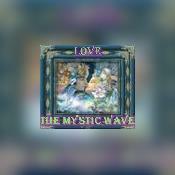 Getting Love & Relationships advice from The Mystic Wave through www.keen.com is safe, secure and confidential.